See more objects with the color tan wheat darkkhaki darkolivegreen sienna or see all the colors for this object. 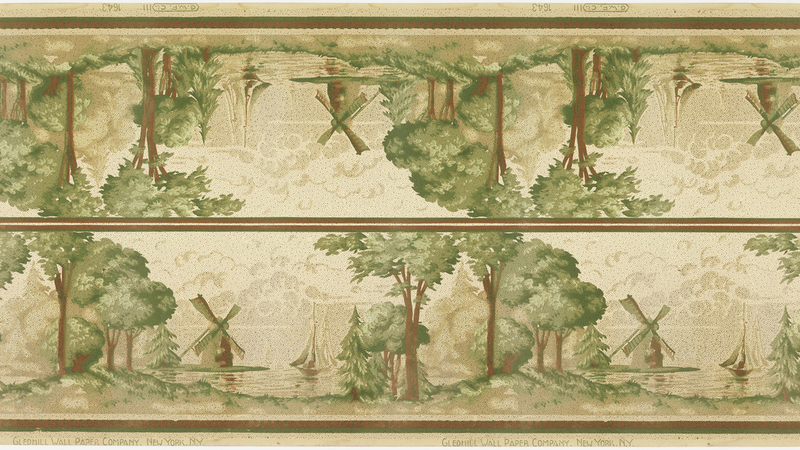 Printed in selvedge: "G. W. P. Co. 111 1643" "Gledhill Wall Paper Company. New York. N. Y."